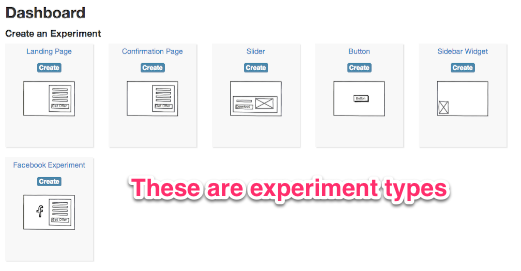 After you create an experiment you can create the first variation. We have prepopulated the form but feel free to change any of the copy or "look & feel" elements. Once you have your first variation you can create more from scratch or just clone the first one and change the copy and "look & feel" elements as needed. 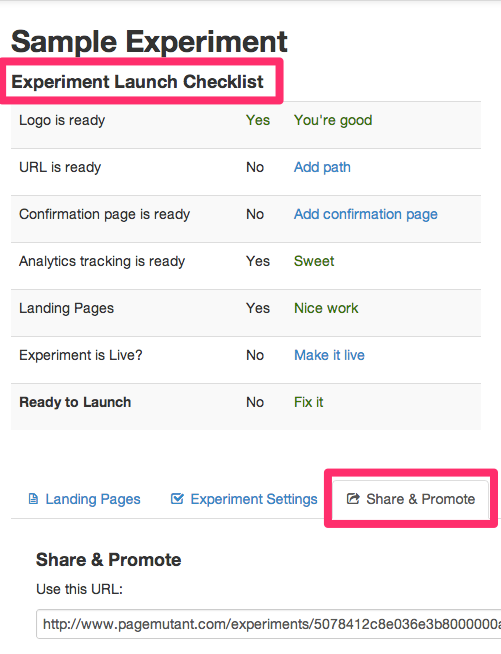 Use the launch checklist to see if your experiment is ready to launch. 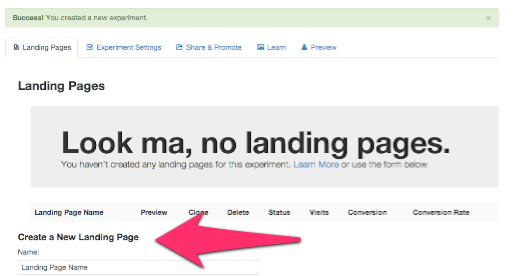 Make any changes necessary to make it ready and then grab the URL for your experiment from the Share & Promote tab.